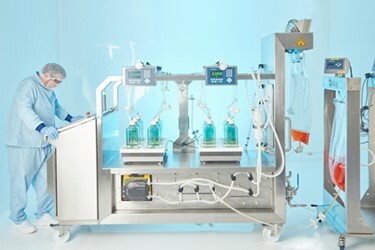 The SciLog® SciPure FD System is an automated single-use system for the bulk filtration and dispense of biopharmaceutical products into either bags or bottles. Both the hardware and the consumables have been designed in tandem to minimize product losses and maximize yield. The SciLog® SciPure FD System is designed and built to ensure containment, protecting the both the operators and the product.